This was an almost fully-salvaged project. 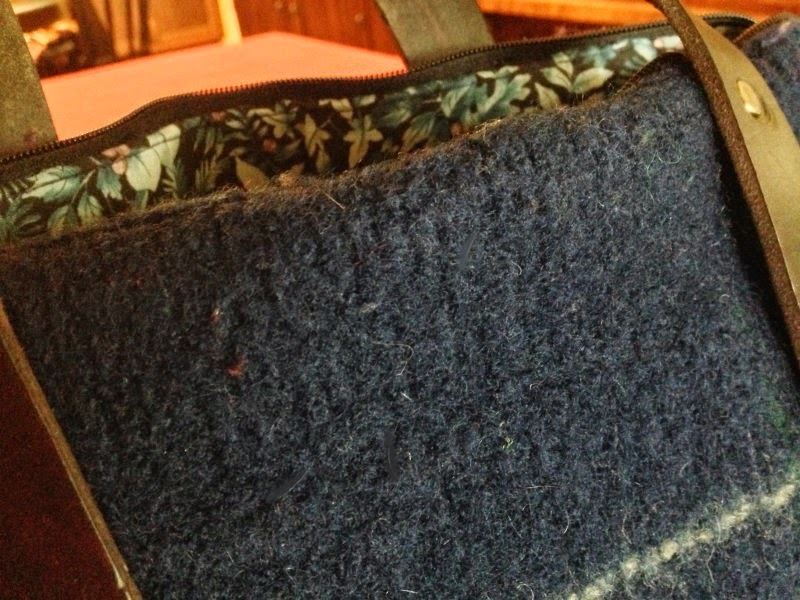 The body of the bag is an old boys' sweater that had been felted in the wash. 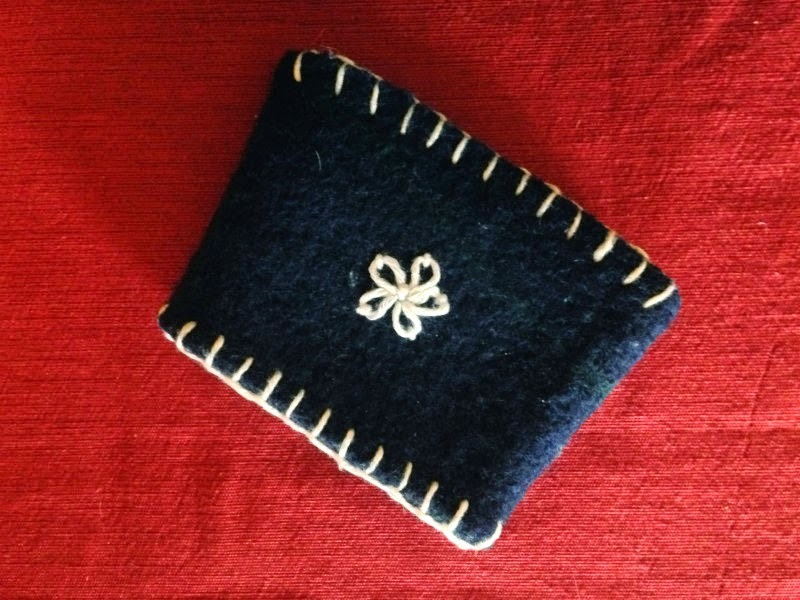 I felted it further to bring the size down and to add strength. It also added thickness, which made it a little trickier to work with—something I'll have to remember next time. The two-way zipper is from a carry-on suitcase that had fallen apart. And the lining is my aunt's old jumpsuit, which had shredded after one too many washes. It already had a pocket, which now holds a phone or wallet. 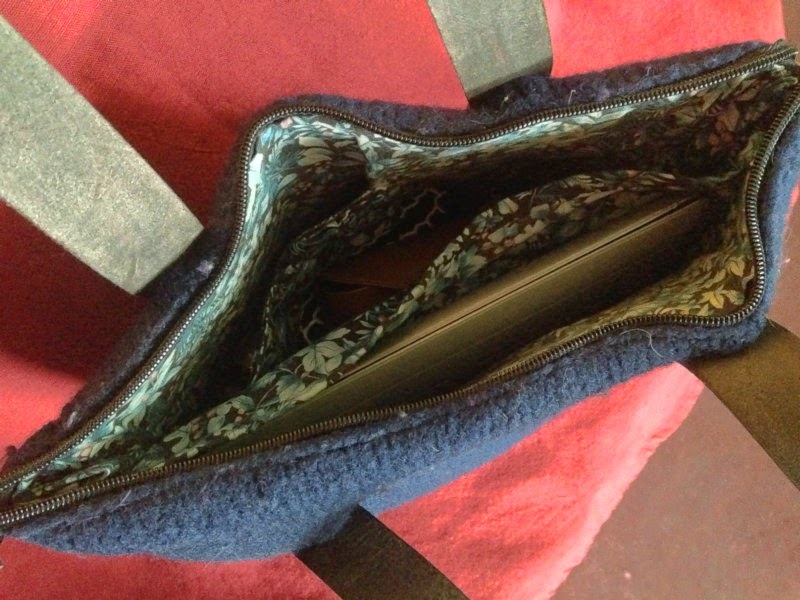 I added the requisite iPad pocket, as well, and in retrospect wish I'd added interfacing to make it firmer. It's just a bit flimsy for my taste. As for the straps, I have S to thank. He wanted to make himself a belt. 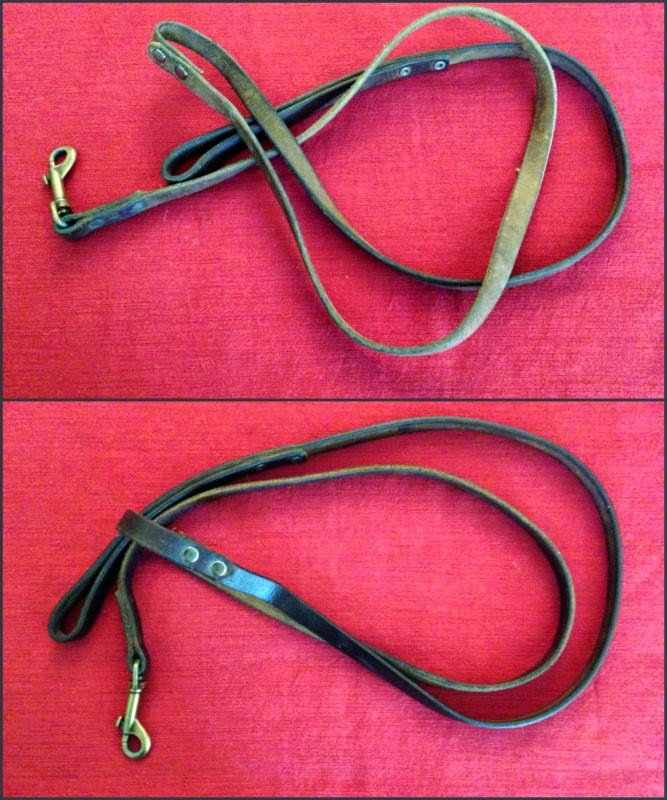 While we were looking at necessary supplies, I saw that I could get a length of leather strapping material that seemed like it would just work. Cut in half and riveted to the body of the bag, it did. 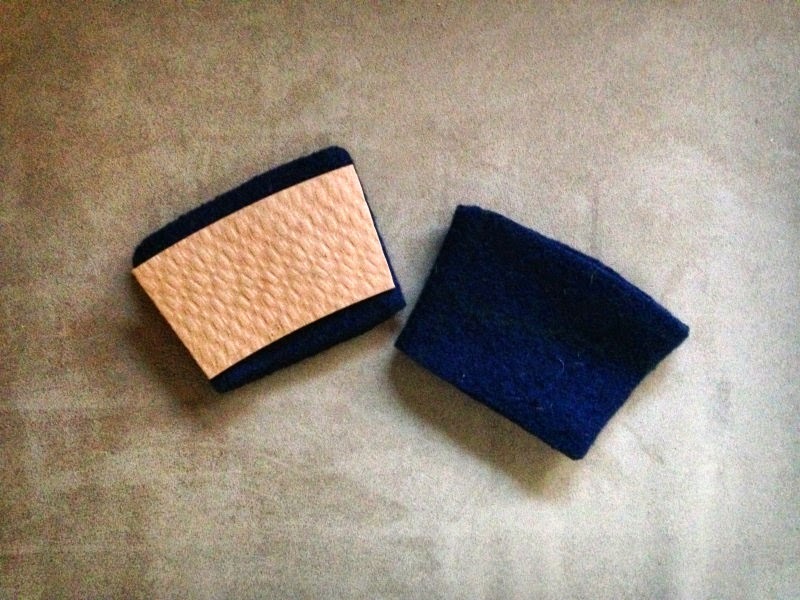 In learning about leather finishing, I came across this recipe for a homemade wax. This was rubbed into the straps after dyeing, and it brought them from being rather stiff to feeling softer and more pliable. D asked me to fix the old broken dog leash* and after riveting the two snapped halves together, the wax also worked wonders as a reconditioner. And that was it. Not a fancy project at all, but it suits my needs right now. I really appreciated having a more winterized purse the other day when I was caught in a sudden downpour without an umbrella. 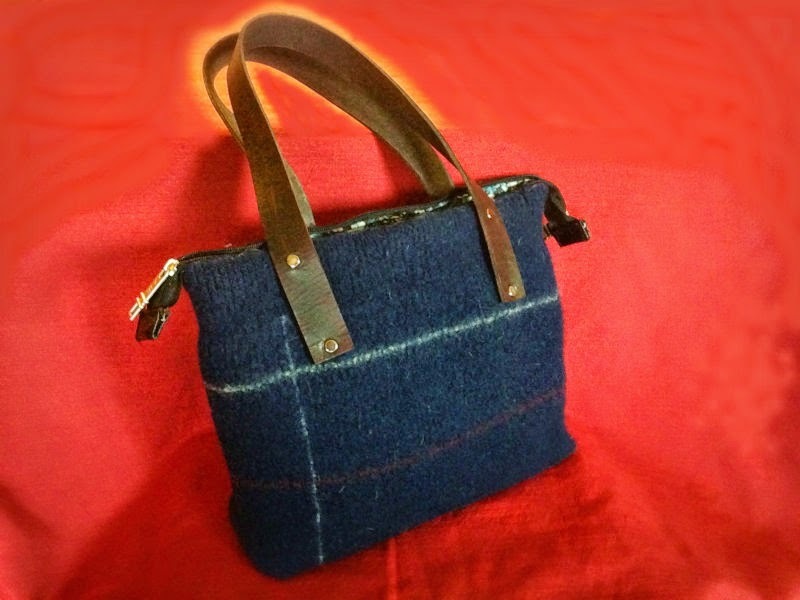 Between the leather wax and the wool's natural water repellency, the purse came through just fine. 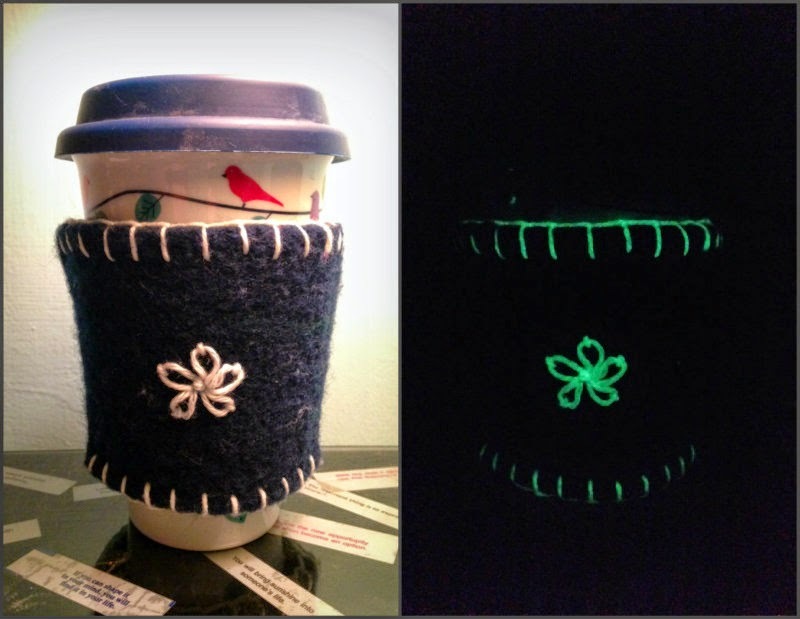 But my favorite part of the project is not the bag, it's the pair of reusable coffee cup sleeves cut from the felted sweater sleeves and roughly (very roughly) embellished with glow-in-the-dark yarn. The glow feature is more fun than practical. 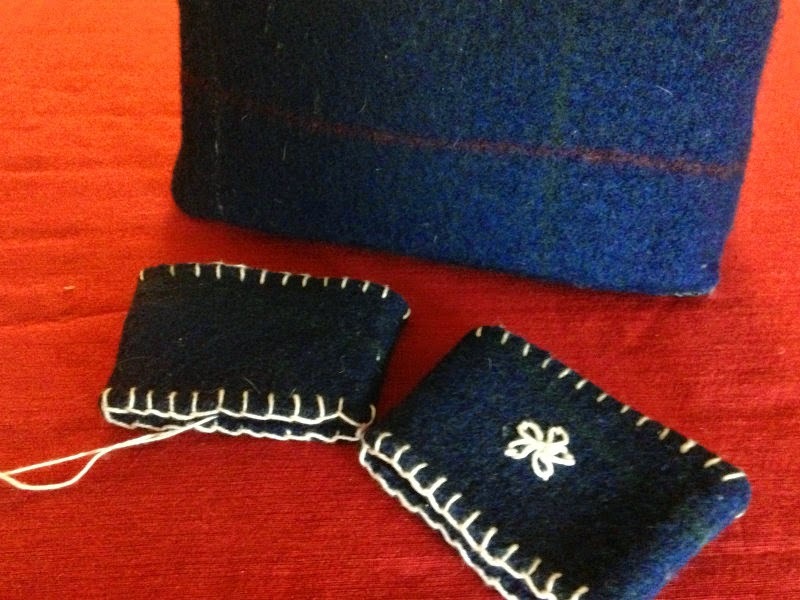 But the felted wool is a perfect insulator. I plan to carry the coffee sleeves with me at all times. And now I have a bag to keep them in. *This particular post is revealing us to have some unsavory hoarding tendencies. Please ignore.